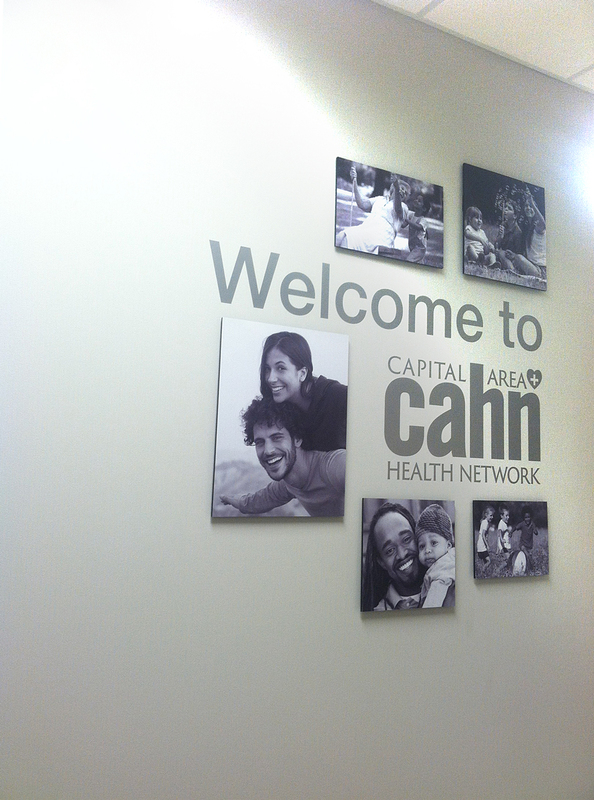 Capital Area Health Network’s (CAHN) healthcare centers are located throughout the metropolitan, capital area of Richmond. 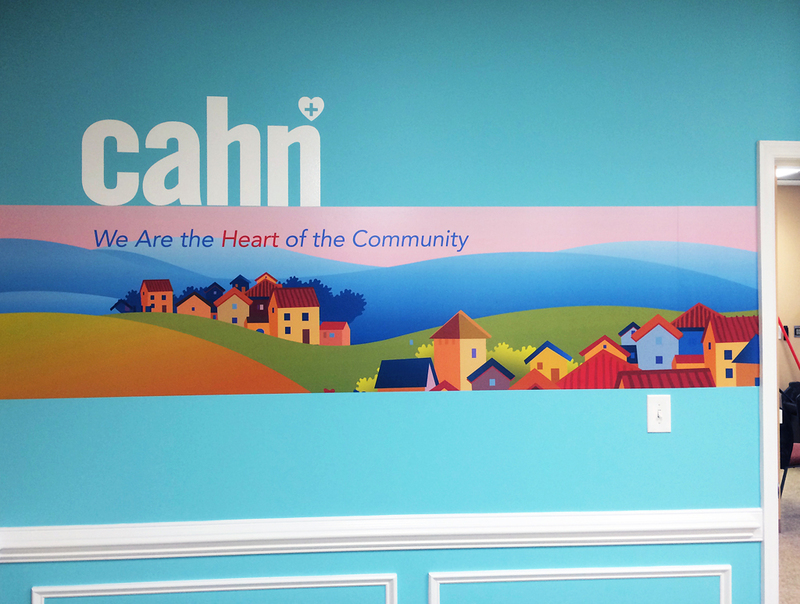 With the goal of revitalizing neighborhoods with healthy, well-informed, productive citizens, CAHN provides medical, dental and behavioral health services, along with education on healthy lifestyle practices delivered with personal concern, care and respect for each and every patient. 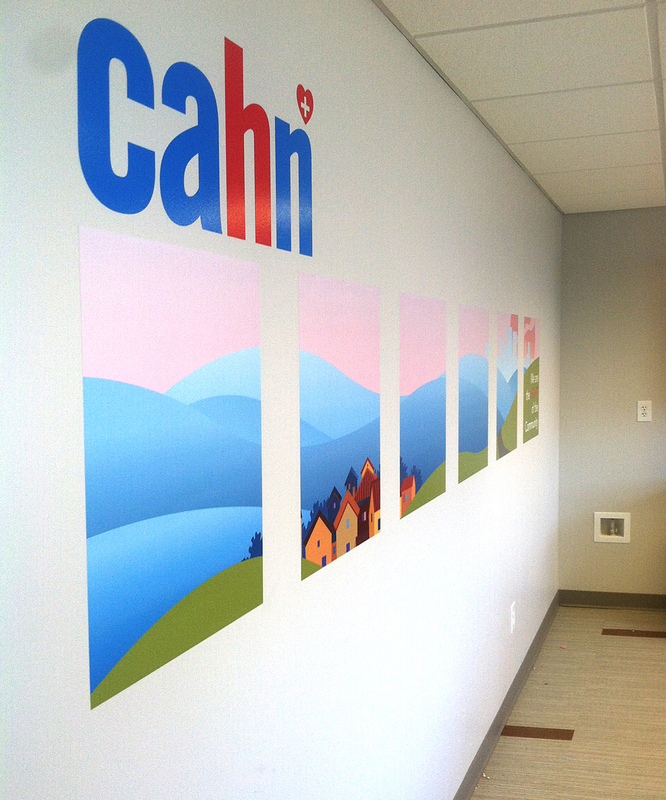 When CAHN approached us just three years ago, they asked us to help them tell their story on the walls of their newest medical center. 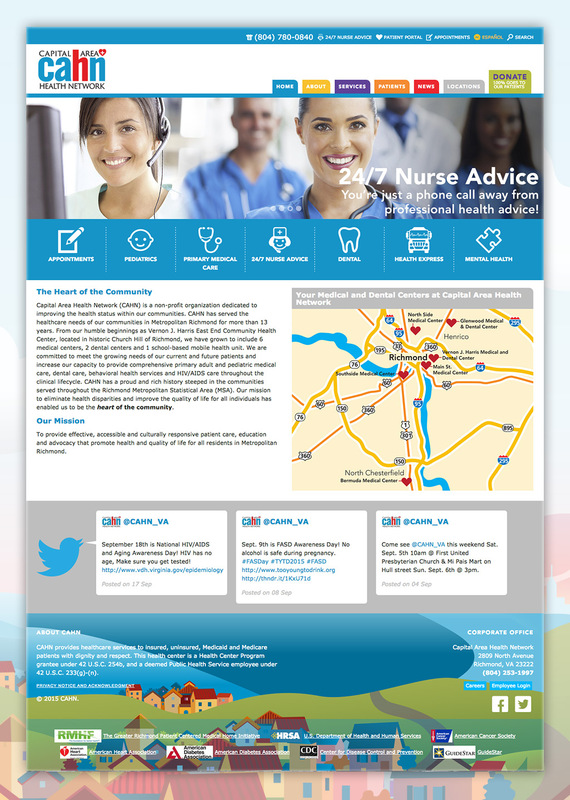 Little did they know the breadth of our expertise — since designing and installing the large format graphics, we wrote and designed their first annual report, redesigned their logo, developed their new website and a created a marketing plan to increase their patient load by 20%. 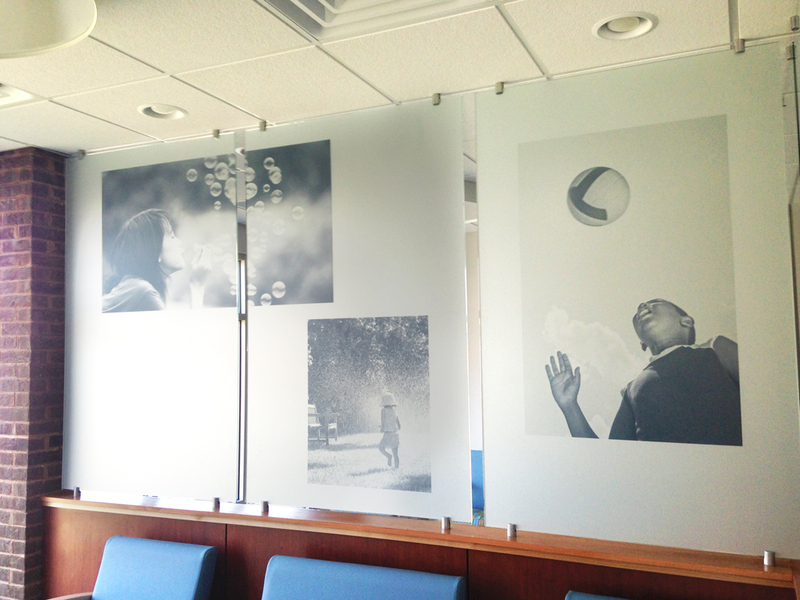 Hold on… they’re just getting started!